The war was directly blamed by the victors on the miltant nationalism of the Kaiser's Germany; it was Germany that effectively started the war with an attack on France through Belgium. 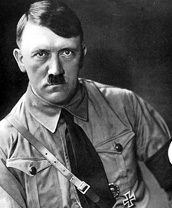 Right wing nationalist elements under a variety of movements, but most notably the Nazi Party of Adolf Hitler, sought to blame Germany's "humiliating" status on the harshness of the post-war settlement, on the weakness of democratic government, and on the Jews, whom it claimed possessed a financial stranglehold on Germany. Hitler's government exercised much of its power through the special emergency powers possessed by the President under the constitution. Order custom history papers today. Professional paper writers for hire online.